The breadth of the content within the Netflix library is something to behold. While once there was a handful of options, like a few solid movies and network shows, now there is more fantastic content being produced by Netflix that it’s impossible to keep up with. Everyone has their own favorite shows and movies on Netflix — we could argue about our favorites until we are blue in the face. 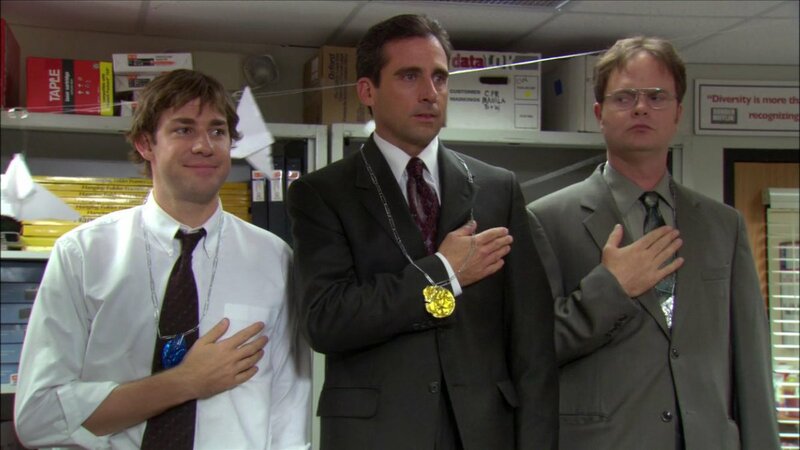 My wife and I constantly re-watch The Office and Parks and Recreation because these shows are comedy gold — we also use them when we just want some background noise or maybe something to fall asleep to — both shows are hilarious in their own regard and are two of the greatest comedic shows ever to grace the airwaves. While those are staples for my wife and I, we still love to check out more recent shows on Netflix like Black Mirror, Mind Hunter, The Crown and Orange is the New Black. Netflix is rolling out so much original content, from new movies, documentaries and shows that they have established themselves as key players in the distribution of entertainment. Given the scope of all Netflix offers, of course they hold onto viewer data, like who watches what, from where and how long. That data has been compiled into the map below showing the most streamed shows on Netflix from 2017 by state. Minnesota has logged the most hours watching a Netflix original mockumentary called American Vandal. Believe it or not, our “disliked” neighbor to the east, Wisconsin, also watched the same show most — we have something in common! To the south, Iowa watched the renowned Mindhunter (absolutely fantastic if I might add), where South Dakota tuned into Fuller House the most and North Dakota spent the most time watching A Series of Unfortunate Events. I’ve only watched a bit of American Vandal, so I can’t decisively say I endorse it, but so far it’s quite funny. 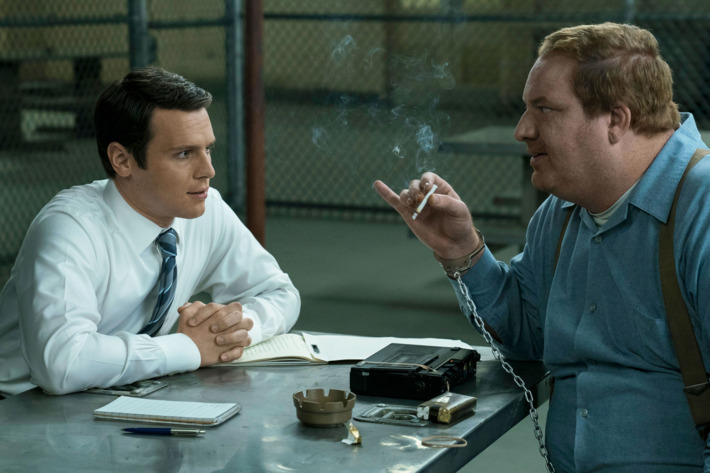 Mindhunter blows it out of the water however — Director David Fincher is a cinematic magician — nice work Iowa. The most surprising thing about this map is Orange is the New Black is the most watched show in the most states — Orange is the New Black, in my opinion (you are still reading and this is my post) is one of the most overrated shows I’ve ever seen. Seriously. I’ve watched four and a half seasons, so don’t think I watched a few episodes and gave up — the fourth and fifth seasons drag on and on with the escalating “drama” they call the prison riot that is ripe with more heavy-handed political and social commentary than one can ingest. The show is so caught up in its own politics and pushing agendas it forgets to continue to develop characters and story lines. And don’t get me wrong, I’m not some stale, anti-progressive conservative who hates all things within the show — when a message is carried out tastefully, I’m on board (see a show like Black Mirror, which weaves strong core messages into a narrative). 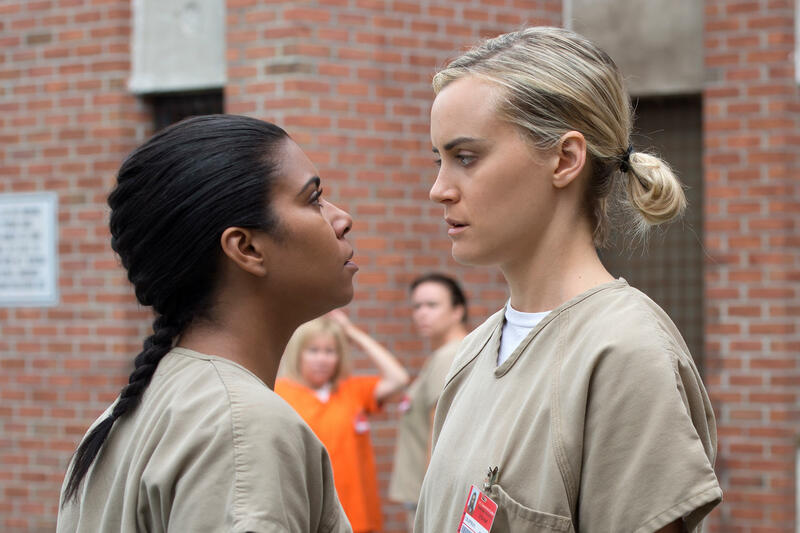 Orange is the New Black is more concerned about the “bold” message than how it says it. The show that started out very interesting, then hit a serious tail spin, something Creator Jenji Kohan is not a stranger too — she also was the creator of Weeds, a Showtime show that captivated the first handful of seasons until the show got so ludicrous it drowned itself in soap opera drama which turned away viewers’ interest in droves. Orange is the New Black has seriously faded. Overrated. Rant over. Other notables was that Stranger Things didn’t make a larger dent on this map — Utah was the only state where it was most popular. 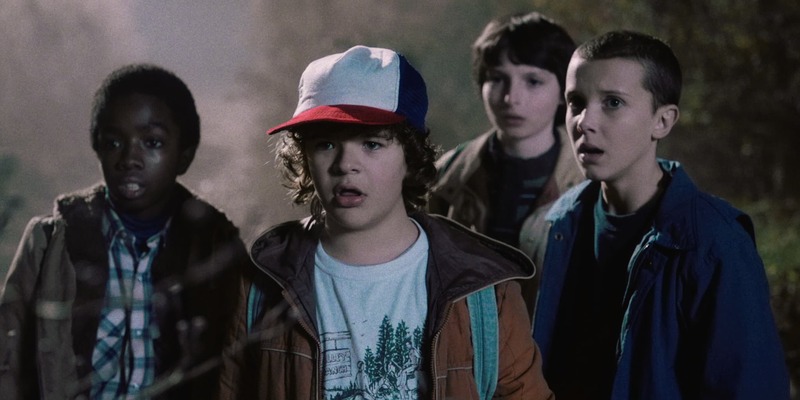 Given the cultural phenomenon that Stranger Things has become (another fantastic show — much better than Orange is the New Black), it’s odd to not see it represented heavily. 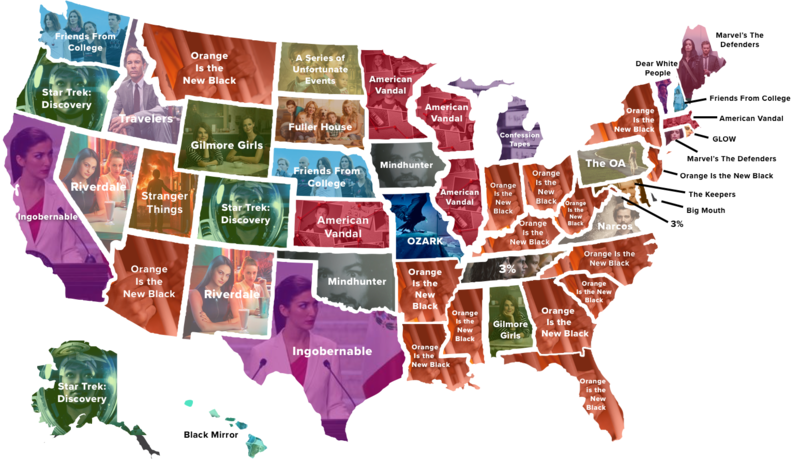 Both California and Texas have large Latino populations, thus the most watched there is a Spanish drama I’ve never heard of called Ingobernable. Lastly, kudos to Hawaii for being the only state to have Black Mirror as their most watched. What a fantastic show that is — depressing, but enlightening — powerful messages, perfect delivery. Much, much better than Orange is the New Black. Thus concludes my spin on this Netflix map and bashing of Orange is the New Black. The personal views expressed in this post are the writers’ own and do not necessarily reflect the views of Minnesota Connected or its sponsors.